A collection of symbols for Adobe Illustrator, created by Thvg. 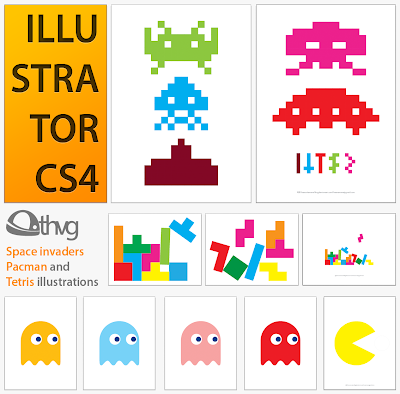 The pack contains various shapes from Space Invaders, Pacman and Tetris. Download Note: To use, open the *AI file with Illustrator and opend the symbols pallete (Window>Symbols).